기단은 아래·위층 모두 각 면의 모서리와 가운데에 기둥모양의 조각을 두었다. 탑신의 각 몸돌에도 모서리마다 기둥조각을 두었으며, 지붕돌은 밑면의 받침이 5단씩이다. 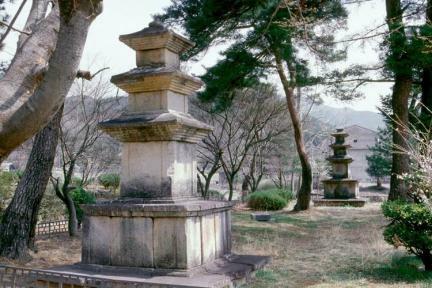 Standing as twin pagodas in the east and west at the site of Wolgwangsa Temple, they consist of the two-story stylobate and the three-story main body that assumes the usual form at the time. 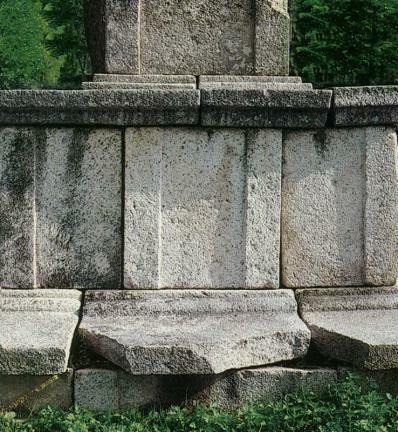 Pole patterns are carved on all sides of the corners and the center for both stories of the stylobate. 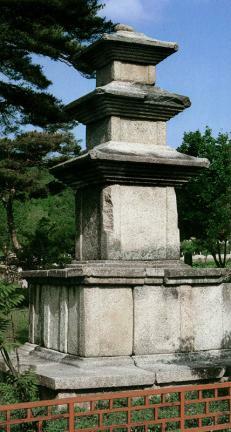 Each core stone of the main body also has a pole pattern carved on each corner. The roof stone has a five-tier cornice. 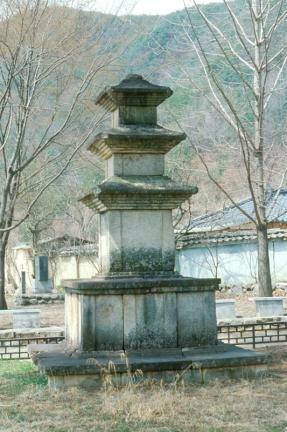 In general, they have a similar form, but the eastern pagoda has lots of stones used in the composition of the stylobate compared with the whole size. 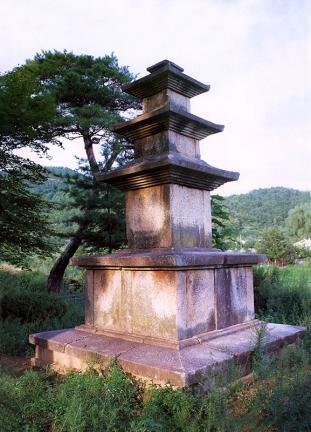 On the other hand, the western pagoda has traces of damage, which prompted its restoration. 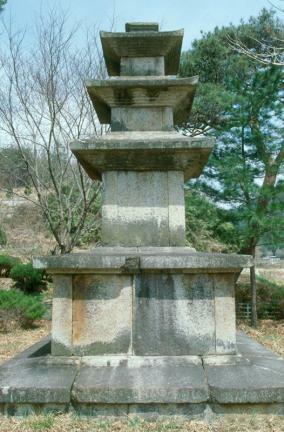 At each facet of the stylobates are two pole patterns in the western pagoda and one pole pattern in the eastern pagoda. 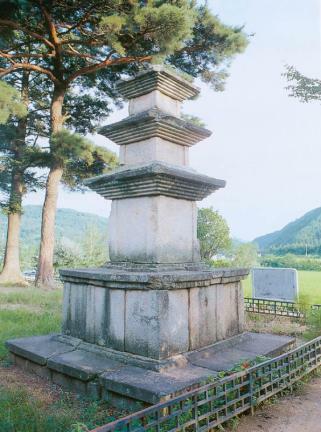 Both pagodas, which were built during the Unified Silla Period, are similar in general form but a bit different in terms of the composition and style, implying that they might be different in terms of the construction year.